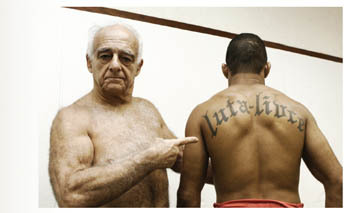 Luta Livre means “wrestling” in Portuguese, although the term Luta translates to ‘fight’ and Livre translates to ‘free’. Therefore, loosely the term means ‘free fighting’. 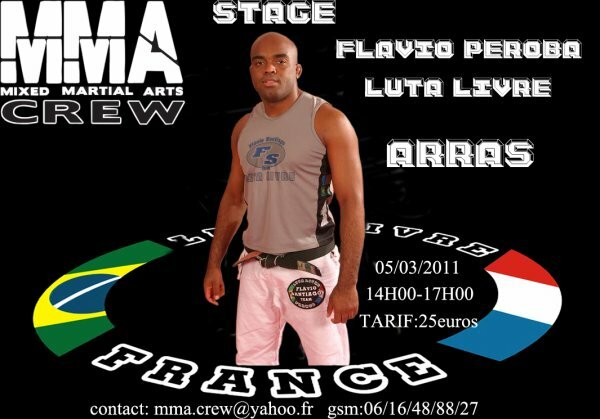 Luta Livre is a fighting style based on catch wrestling founded by Euclydes “Tatu” Hatem . Tatu beat George Gracie by submission in 1940. After Tatu, fighters such as Euclides Perreria and Roberto Leitao continued the sport and made the art evolve. Perhaps even more so, the art was later positively impacted by Leitao, a wrestling and judo practitioner. This University professor of Engineering learned to use technique over raw force- similar to Helio Gracie- due to the fact that he was a smaller man and helped to refine several techniques of the art. Though Leitao certainly used leverage to his benefit, his words to Fight! Magazine note a major difference between the philosophies of Brazilian Jiu Jitsu and Luta Livre, with Luta Livre following an ideology more akin to what catch wrestling or shootfighting might. Regardless, during the 1980’s and 90’s, the majority of the fights/challenge matches between the two arts went to Brazilian Jiu Jitsu, not Luta Livre, which, along with a lack of finances- due to the fact that Luta Livre has always been considered more of a poor person’s art than jiu jitsu, which was more for the elite- declined in the eyes of MMA historians and practitioners. Euclydes Hatem (Luta Livre) vs. George Gracie (BJJ): A very important fight for Luta Livre’s popularity. Hatem defeated Gracie in the 1940’s. Rickson Gracie (BJJ) vs. Hugo Duarte (Luta Livre): Duarte, a disciple of Luta Livre, said something insulting about Rickson Gracie’s family on a Brazilian beach. Rickson, widely considered today to be the greatest of all the Gracie fighters, slapped Duarte after the insult and a fight ensued that was caught on camera by a tourist. In the end, Rickson mounted Duarte and pummeled him into submission. This fight held great importance for the Gracie’s as the tape of it was later used as a marketing tool to sell Gracie Jiu- Jitsu’s effectiveness. Walid Ismail (BJJ) vs. Eugenio Tadeau (Luta Livre): After Tadeau defeated a BJJ fighter by the name of Renan Pitanguy, Ismail, a Carlson Gracie product, was angry. But years later, after Royler Gracie fought Tadeau to a draw without wearing a gi (an insult, in a sense, considering that Gracie Jiu Jitsu was somewhat founded on the gi), Ismail challenged Tadeau in the media. The fight ended in the second round when the Brazilian Jiu Jitsu practitioner threw Tadeau out of the ring, where he was counted out. Later, Tadeau claimed that BJJ supporters didn’t allow him back into the ring, while BJJ fans/practitioners indicated that he was either too afraid to reenter the ring or was hurt. So what were the reasons for Luta Livre’s failure to breakthrough to mainstream martial arts like Jiu-Jitsu did? “Unlike the other top camps, none of the Luta Livre guys ever achieved greatness in modern MMA, they suffered from their jack-of-all-trades approach (well rounded but brilliant at none of the aspects of MMA). They couldn’t strike as well as Chute Boxe, certainly couldn’t outwrestle Hammer House, couldn’t out grapple the jiu jitsu fighters, and weren’t as athletic as the Lion’s Den. Other reasons were the failure to produce a great champion who could’ve popularized the style. 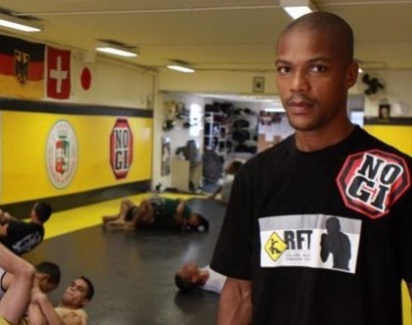 The professionalization of MMA which ended the blood-feud between Luta Livre and Jiu Jitsu and resulted in so many LL fighters moving to the larger jiu jitsu camps.